Union Leader Building at 100 William Loeb Drive, Manchester. 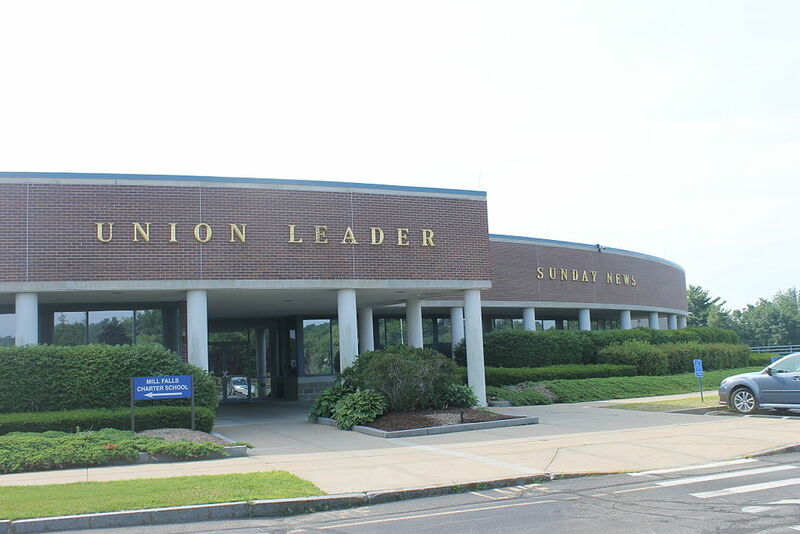 MANCHESTER — The New Hampshire Union Leader building has been bought by investor Peter Levine for $3.8 million after being on the market for about four years, according to Deanna Caron of Stebbins Commercial Properties Inc.
Caron said the state’s largest newspaper will lease back space and remain in the building at 100 William Loeb Drive. Three other tenants, two of them charter schools and a distributor, will mean the building will be fully rented, Caron said. “It’s scheduled for closing on Sept. 25,” Caron said on Saturday. Publisher Joe McQuaid said in an email: “Building isn’t sold. If/when that happens you can read it in the New Hampshire Union Leader. Making Community Connections or MC2 and Mills Falls are the charter schools and Eagle Express is the distributor, Caron said. Disclosure: Nancy West was a reporter at the New Hampshire Union Leader for 28 years, leaving in 2014.